Compliance practices are being forever changed by the widespread adoption of mobile and social technologies, combined with shifting workplace demographics. Millennials—or those between the ages of 18 and 29—are putting down deep roots in the investment world these days, and are demanding a whole new way of finding and interacting with their financial firms and advisors. If a firm doesn’t use mobile and social technologies to attract and engage this expanding investor demographic, the business will likely suffer. Even with the demand for mobile and social technologies, many firms and their compliance departments have said “no” to these tools, and have attempted to prohibit their use by financial advisors. But that doesn’t work anymore; the floodgates are already open. We’re starting to see fines from FINRA against firms that don’t archive social media and text messages. FINRA is now asking firms for proof that they are retaining and supervising social media and SMS/text messages. Now the firm’s burden is also to prove that these new forms of communications are addressed in its written supervisory procedures. 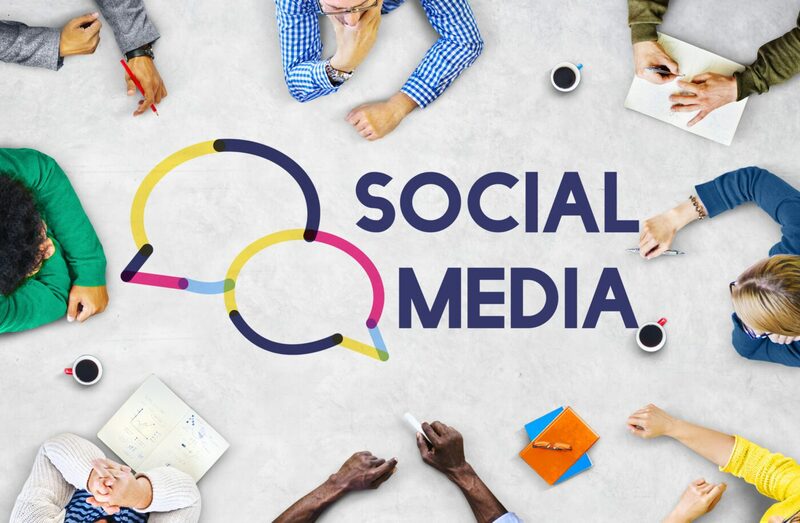 In short, firms must have a comprehensive archiving and supervision system in place that covers social media and text communications, or face the regulatory consequences. Mike Pagani, Smarsh Chief Evangelist and Senior Director of Product Marketing, is a regular contributor to Corporate Compliance Insights (CCI). In his most recent column, Mike provides several tips for expanding the compliance perimeter to include social media and text messages. 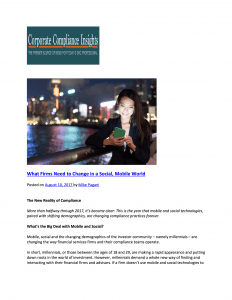 Read Mike’s tips for mobile and social media compliance here. In this article, originally published by CCI, Mike provides several tips for expanding the compliance perimeter to include social media and text messages.